BEIJING, Oct. 22 (Xinhua) -- China and Portugal on Monday agreed to expand cooperation under the Belt and Road Initiative and to strengthen connectivity between Asia and Europe. 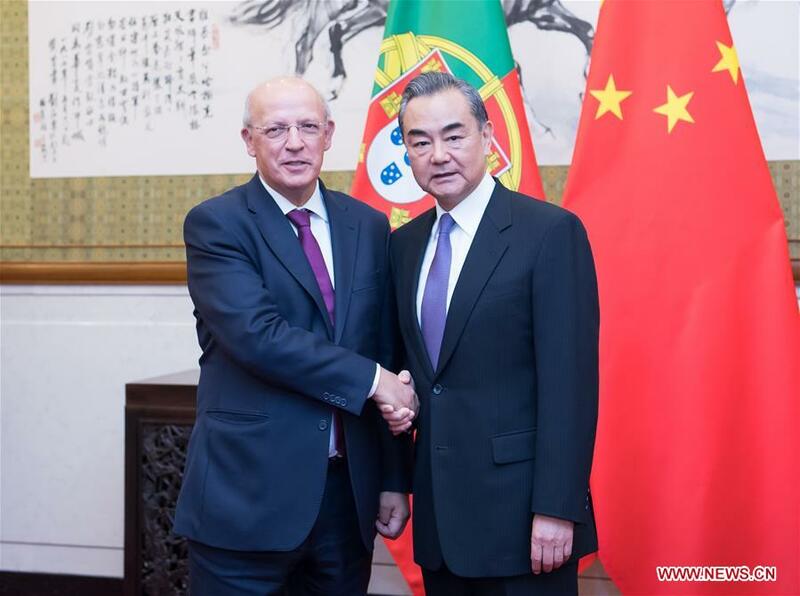 The two sides reached the consensus when Chinese State Councilor and Foreign Minister Wang Yi held talks with his Portuguese counterpart Augusto Santos Silva. "China attaches importance to the Portuguese side's hope to strengthen the China-Portugal comprehensive strategic partnership and to deepen pragmatic cooperation, and stands ready to work with Portugal to fully prepare for the high-level exchanges between the two countries in the next stage, Wang said. "China appreciates Portugal's support for the Belt and Road Initiative and hopes to expand mutually-beneficial cooperation between the two sides by strengthening the interconnectivity between Asia and Europe." Silva said that the Belt and Road Initiative was in line with the target for enhancing Europe-Asia interconnectivity, and Portugal hoped to take an active part in the joint construction and become a key hub connecting land and sea routes between the two continents.